Personally, I love this recipe cold; it tastes like dessert! This is definitely the fastest E breakfast I have ever had. Put together the night before, there’s nothing to prepare when you wake up. 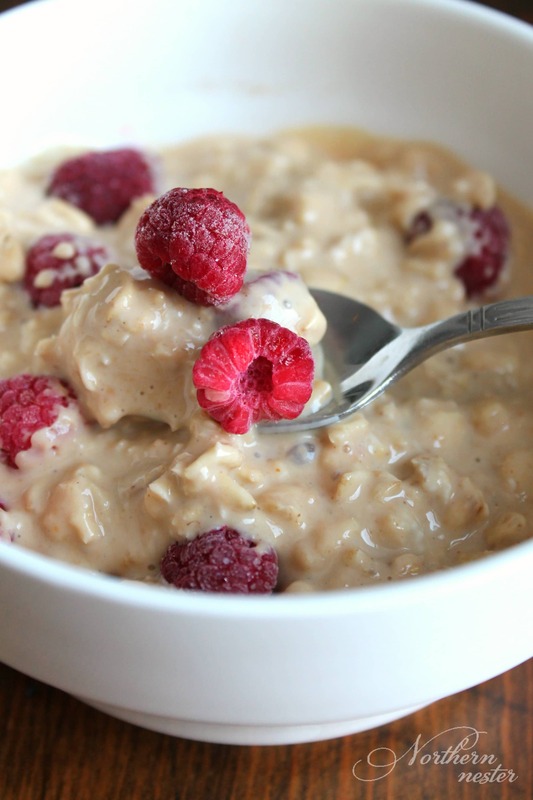 Stir in a handful of raspberries and breakfast is served! Overnight PB & J is also the most filling E breakfast I’ve eaten! I can barely finish a bowl. Thanks to a night of soaking in defatted peanut flour, 0% Greek yogurt, and cashew milk, this oatmeal will keep you feeling full until your next meal. Stirring in a handful of frozen berries is a super easy way to make this oatmeal taste like a mouthful of PB & J, one of my favorite flavor combinations. Overnight PB & J Oatmeal is a Trim Healthy Mama-friendly E meal because it contains no real fat source, but has healthy amount of good carbs and lean protein. Overnight PB & J Oatmeal is a protein-packed Trim Healthy Mama E breakfast that tastes like a mouthful of a favorite sandwich! 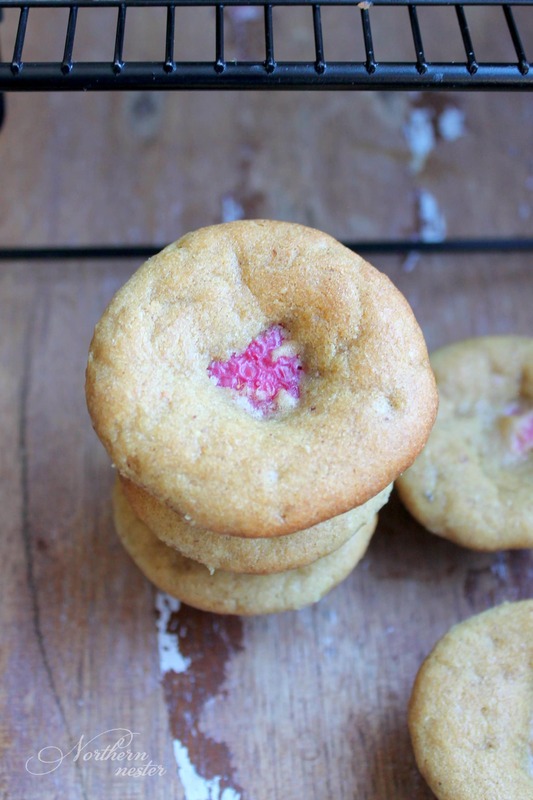 Low in fat, gluten-free, and no special ingredients. Mix all ingredients (except frozen berries) together and divided into 2 bowls. Refrigerate overnight. Warm in microwave for 30 seconds to 1 minute, if desired. Stir 1/2 a cup of berries into each bowl of oatmeal. Serve and enjoy! You can store the second serving in the fridge for several days until needed. Would it be ok to add a half a banana for your fruit?